(FPRI) — “Tranquil” likely is well down the list of words that come to mind when describing the worldview of Donald Trump or Vladimir Putin. It is a fair descriptor, however, in one sense. Mr. Trump and Mr. Putin, different as they are, seem to share a belief in tranquil power, a concept elaborated by the American political scientist Michael Loriaux. We’re an empire now, we create our own reality. And while you’re studying that reality—judiciously, as you will—we’ll act again, creating other new realities, which you can study too, and that’s how things will sort out. We’re history’s actors . . . and you, all of you, will be left to just study what we do. If you assess the attitude of the American media and American diplomacy toward Mr. Putin, there is a tendency to portray him as a Khrushchev or Gorbachev. But the Russian president frustrates efforts to do so by simply remaining himself. 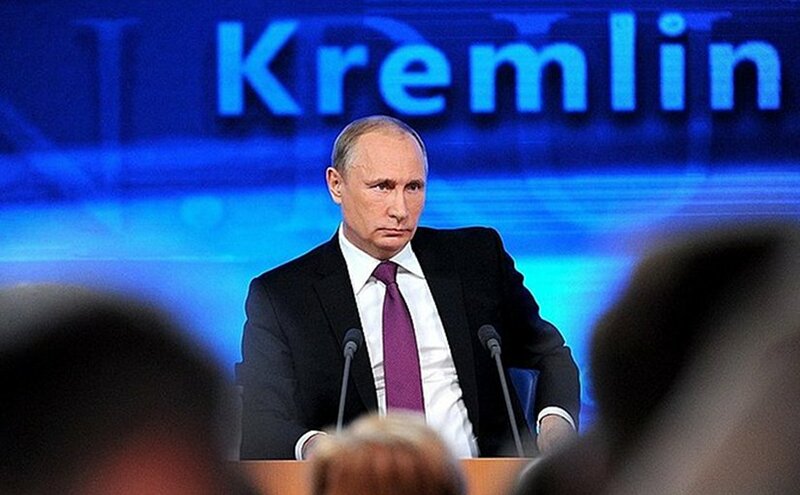 When this drives his opponents to hysterical outbursts, Putin just smiles ironically. It is a smile unique to someone who knows exactly what he is doing, and who is confident in his belief in the correctness of his actions. Tranquil power is an unstable brew, inviting simultaneous moral self-sufficiency and indictment of traditional “powers” on the one hand, and unilateral intervention and punishment on the other. Both grey and black active measures are forms of disinformation (dezinformatsia) or the deliberate use of misinformation or misleading information. Disinformation “transform[s] reality into an inane hall of mirrors,” says Shmuel Vaknon. In the hands of Mr. Putin, Russian grey and black active measures are less forms of constituent power intended to transform the machinery of Western political institutions than instruments of destituent power intended to deactivate that institutional machinery. Active measures are corrosive in and of themselves but more so when misperceived, as by Mr. Trump and equally so by many of his critics. Grey active measures like trolling can lull Western audiences into an insouciant disregard for the larger active measures campaign, mistakenly dismissing Russian actions as irksome but largely ineffectual. Today’s Russia has been shaped by political technologists—the viziers of the system who, like so many post-modern Prosperos, conjure up puppet political parties and the simulacra of civic movements to keep the nation distracted as Putin’s clique consolidates power. In the philosophy of these political technologists, information precedes essence. Pomerantsev’s use of the phrase information precedes essence is interesting, mimicking as it does Jean-Paul Sartre’s claim that “existence precedes essence,” by which Sartre meant, “We must begin from the subjective.” For Sartre, what something is—its essence—is defined by something else’s presence, which in this instance is Russian disinformation. Let us first acknowledge what the instrumental value of Russian grey active measures—as agitprop on the Russian government-controlled media portal RT agitprop or tweets by Russian trolls—is not. It is not that Russian disinformation succeeded in manipulating American voters last November to cast their vote for Mr. Trump. It is instead that Russian disinformation is an instrument for propagating a potent political narrative, viz., that Russia can decisively influence an American (or for that matter, a French or a German) election. As unlikely it is that pathetic RT agitprop and tweets by Kremlin trolls changed a single vote, the seeming effect of Russian disinformation—why, one might ask, would Mr. Putin do it for no effect?—becomes a narrative about its effect. Audiences do not have to mine the narrative for signs of Russian disinformation. Instead, seeing it creates the narrative. Why would Mr. Putin want to propagate the narrative that Russia successfully influenced the American election if Russia in fact did not (and cannot) do so? Before answering that question, it should be acknowledged that it is by no means clear Mr. Putin—anymore than anyone else—actually thought Mr. Trump would defeat Mrs. Clinton, for whom his animus is well known. The election’s outcome may well have been as surprising to Mr. Putin as it was to most observers. One might speculate that Mr. Trump’s victory is indeed contrary to Russia’s long-term political interests, insofar as it is focusing much heat and some light on Russian disinformation practices. That being said, borderline hysteria about Russian grey active measures is a windfall for Mr. Putin because it amplifies a narrative around Russia’s reach and grasp. [B]ut one part of a sophisticated Kremlin marketing strategy aimed at rebranding Russia as a resurgent world power that has risen from the chaos and humiliation of the 1990s. To promote this new grand narrative—and embed it in the minds of friend and foe, both at home and abroad—Kremlin image gurus have relied on a potent cocktail that is equal parts truth, illusion, subterfuge, spin, and outright falsehood. There is much call to suppress Russian grey active measures as there was during the 1950s. [A]s the power of the enemy abroad increases, so necessarily does his arm here, unless we chop it off . . . Our Republic was forged on the assumption—to be sure, explicitly skeptical—that all points of view were, if not equally honorable, at least equally tolerable . . . Yet even Jefferson lifted himself up from some of his abstractions about the free society . . . Lincoln arrived painfully at the conclusion that some points of view were intolerable. These were men who . . . acknowledged, with their practical turn of mind, that the requirements of reality transcend at the margin the workaday imperatives of a free society. The Security paradigm implies that each dissention, each more or less violent attempt to overthrow its order, become an opportunity to govern them in a profitable direction. Much of Russian grey disinformation is directed squarely at that “Security paradigm”—think Wikileaks—and what Mr. Agamben calls “the permanent technology of government.” How much of Russian grey disinformation fits this description? [T]he formula “for security reasons” functions today in any domain, from everyday life to international conflicts, as a password in order to impose measures that the people have no reason to accept. One of those problems—Russian black active measures—is causing an increasingly serious rift among the United States’ Gulf allies that threatens to fracture the anti-Iran alliance there. It is classic Russian tradecraft. According to United States intelligence officials, Russian government hackers inserted fabricated text about the emir of Qatar making friendly remarks about Iran and Israel into text released by the official Qatari news agency on 23 May 2017. It prompted Saudi Arabia and others to suspend diplomatic relations with Qatar and to impose economic sanctions on the Gulf nation. Mr. Trump has thus sinned doubly. He misunderstands the nature and the purpose of Russian disinformation, and as a consequence has failed (so far) to respond decisively. The former is, as Mr. Buckley once wrote, “a retreat from understanding—a retreat from an explicit expression of the meaning of American society.” We are perhaps better prepared to deal with Russian black than grey active measures. Some instances of the former are so abjectly disruptive as to force a response, albeit one muddled by Mr. Trump walking inexplicably on Secretary Tillerson’s narrative. Russian black active measures are pervasive if sometimes less visible than their grey cousins—lest anyone doubt it, ask the Ukrainian government, which has faced a torrent of Russian forged documents intended to discredit and disable it. Mr. Trump’s tranquil worldview vis-à-vis Russia does not derive from any sympathy with Mr. Putin or his authoritarian ways. It derives instead from naïveté about the nature of Russian tranquil power, and the threat of Russian destituence intent on deactivating the machinery of Western political institutions. Instead of adding to the Twitter cacophony, Mr. Trump would be well advised to follow Mr. Eagleburger’s advice, the first step in which is for he himself to understand the nature of Russian active measures against the country he leads in a dangerously uncongenial world. John R. Haines is a Senior Fellow of the Foreign Policy Research Institute and Executive Director of FPRI’s Princeton Committee. He is also a Trustee of FPRI. This essay’s title is adapted from the title of a 1958 essay written by William F. Buckley. See: Buckley (1958). “The Tranquil World of Dwight D. Eisenhower.” National Review (18 January 1958) 57-58. The first opening quote is from a secret (now declassified) article that appeared in Studies in Intelligence, a journal published by the United States Central Intelligence Agency’s Center for the Study of Intelligence. See: John Brockmiller (1976). “Psywar in Intelligence Operations.” Studies in Intelligence 20:1, 49-55. https://www.cia.gov/library/readingroom/docs/CIA-RDP87T00787R000200170003-4.pdf. Last accessed 9 June 2017. The second opening quote is from a c.1984 secret (now declassified) Central Intelligence Agency document titled “Talking Points: Soviet View of the U.S. Election.” See: https://www.cia.gov/library/readingroom/docs/CIA-RDP86B00420R000501060006-4.pdf. Last accessed 7 June 2017. The third opening quote is by Ladislav Bittman, who was the deputy chief of the 8th section of the 2nd Department of the Czechoslovakian interior ministry until his defection to the West in 1968. See: Bittman (1985). The KGB and Soviet Disinformation: An Insider’s View. (Washington, D.C.: Pergamon-Brassey’s) 49. Michael Loriaux (2016). Europe Anti-Power: Ressentiment and Exceptionalism in EU Debate. (New York: Routledge) 29. Loriaux (2016), op cit., 29-30. As Plato observed in the Republic [520d], “The state whose prospective rulers come to their duties with least enthusiasm is bound to have the best and most tranquil government, and the state whose rulers are eager to rule the worst.” Plato (1987). The Republic, Desmond Lee transl. (Harmondsworth: Penguin). Ron Suskind (2004). “Faith, Certainty and the Presidency of George W. Bush.” The New York Times [published 17 October 2004]. http://www.nytimes.com/2004/10/17/magazine/faith-certainty-and-the-presidency-of-george-w-bush.html. Last accessed 12 June 2017. “Spokoynaya sila.” Vzglyad [published online in Russian 15 November 2011]. https://vz.ru/opinions/2011/11/15/538711.html. Last accessed 12 June 2017. “Putin uvidel gotovnost’ obshchestva k demokratii.” Radiovesti [published online in Russian 6 February 2012]. http://radiovesti.ru/brand/61178/episode/1394311/. Last accessed 12 June 2017. “Spokoynaya sila: rossiya uverena v svoyem budushchem.” Politanalitika [published online in Russian 28 October 2016]. http://www.politanalitika.ru/actualcomments/spokoynaya-sila-rossiya-uverena-v-svoem-budushchem/. Last accessed 12 June 2017. “Spokoynyy Putin.” Khroniki biznesa [published online in Russian 26 November 2014]. http://hroniki.biz/newsbiznes/34936/. Last accessed 11 June 2017. Dennis Kuk (1985). “Soviet Active Measures and Disinformation: Overview and Assessment.” Parameters, XV:4 (Winter 1985) 19-28 at 19. http://www.dtic.mil/dtic/tr/fulltext/u2/a162651.pdf. Last accessed 11 June 2017. Destituent power is a concept elaborated by the contemporary Italian philosopher Giorgio Agamben. See, for example: Agamben (2013). “For a theory of destituent power.” Chronos 10 (February 2014). http://www.chronosmag.eu/index.php/g-agamben-for-a-theory-of-destituent-power.html. Last accessed 11 June 2017. Quoted in John B. Judis (1988). William F. Buckley, Jr., Patron Saint of Conservatives. (New York: Simon and Schuster) 163. Rudolf Steiner (1916). “Toward Imagination: Lecture 5: Balance in Life” (4 July 9116). Schmidt Number: S-3234. http://wn.rsarchive.org/Lectures/GA169/English/AP1990/19160704p01.html. Last accessed 7 June 2017. Peter Pomerantsev (2014). Russia and the Menace of Unreality.” The Atlantic [published online 9 September 2014]. https://www.theatlantic.com/international/archive/2014/09/russia-putin-revolutionizing-information-warfare/379880/. Last accessed 7 June 2015.https://www.theatlantic.com/international/archive/2014/09/russia-putin-revolutionizing-information-warfare/379880/. Last accessed 9 June 2017. Jean-Paul Sartre (1946). “Existentialism Is a Humanism,” Philip Mairet transl. In Walter Kaufman, ed. (1989). Existentialism from Dostoyevsky to Sartre. (New York: Meridian Publishing Company) 290. Quoted in Brian Whitmore (2007). “Spinning The Kremlin: Russia’s New Agitprop.” RFE/RL [published online 5 November 2007]. https://www.rferl.org/a/1079079.html. Last accessed 7 June 2017. William F. Buckley, Jr. (1961). “When Freedom is Threatened.” New Guard (October 1961) 6-7, 12 at 7. https://issuu.com/young.americas.foundation/docs/ng_october__1961. Last accessed 9 June 2017. “Trump seems to undercut Tillerson’s remarks on Qatar.” The Washington Post [published online 9 June 2017]. https://www.washingtonpost.com/world/arab-countries-place-dozens-on-new-qatar-terror-list-deepening-dispute/2017/06/09/fd727fab-e750-4fdd-ac23-26256e8e0493_story.html?utm_term=.9bf006feb7e3. Last accessed 11 June 2017. Buckley (1958), op cit., 58. Buckley (1961), op cit., 12. Lawrence Eagleburger (1983). “Unacceptable Intervention: Soviet Active Measures.” NATO Review 31 (April 1983).